Still water runs deep and looks dirty and the leisurely drive to your first of use, Castle Wolfenstein, is only a mild skirmish. However, before the action starts, you listen to the words of your colleague Wesley, who instructs you about the upcoming mission. As undercover agent commandant Franz ye infiltrates enemy territory and steals research files of Lt. Col. Helga from Schabbs to lay skull in the towel. The situation is urgent: America threatens to lose the war against Nazi Germany. After a short drive you reach the first checkpoint. After that followed a few words before your fake documents take out of the glove compartment and then even take control. Which can not really be of control discussed here. Yet you have no options, great to interact with your environment and limited to mere running instead. Therefore, not wasted a lot of time and follow your colleagues inside the plant. After a few meters you stand at another checkpoint. Now your documents must show that they can rely on is: The giant Rudi hunter sees your wiping at himself and seems to smell a rat already, you can grant but for now. Was certainly not the last time that you face this guy. Run through the turnstile and rises to Wesley in the elevator that brings you down to the cable car. Same game: get in, enjoy views, wait. The cable car takes you inside the Castle Wolfenstein where your mission begins. Get out of the elevator, and stay left. Run under the sign "Archaeological Research" and into the elevator that brings you up as soon as you pressed the button on the left side. 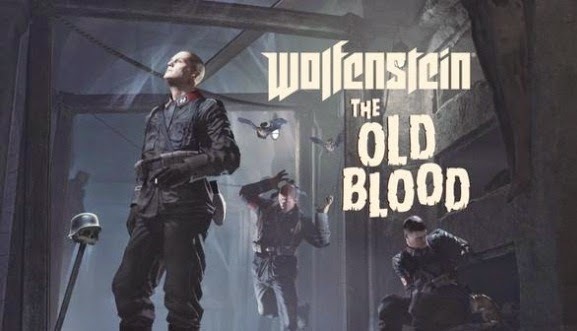 Now Blazkowicz automatically pulls his silenced pistol - seems as if it would go now. Charge immediately, but condescend rather covered for starters. Sneak ducked right and do the guard in front of you, without even firing a shot: Sneak up behind the poor wretch zoom and press the right stick, once you're close enough to take him out silently. Then take the assault rifle of the soldier and turn you to the wall behind you at, where an image of Helga von Schabbs depends - left will find a Double-barreled Shotgun, which should wrap up absolutely. Then ransack the adjacent room, where you can stock up you with ammo, armor and health before encounter the second guard, wait for a row in front of the first, as soon as she finishes her little tour, eliminated in the same way. Then Wesley is on the catwalk to be familiar with. He studied in the upper area to the documents, you take to the field below. Caveat: You will not find them here. Use the time is busy during Wesley, prefer more arms and ammunition, which are scattered here. A few moments have to admit, the Act no longer be able to rustle up your colleague. Be a guy named Kessler. Back to the table where you killed the first guard and activate the radio. Just when you pass, cut the air ball - and your conversation with Kessler, because it destroys the radio. Now you can air and unpack the thick guns. Attract immediately with the assault rifle and run into the side room, so as not to be too much in the open. Hold on the (long) fight time here on a regular basis and run from one input to another to eliminate all the enemies who want to accompany you. This is a bit exhausting, but extremely effective. Especially on higher difficulties you should also definitely pay attention to the shells that your enemies hurl you regularly. The battle itself takes some time, so do not be cocky and remains much in coverage. Your first time can also Akimbo system (you shoot with two weapons at once) to try, but you need basically is at this point not yet, because it is more effective to deliver aimed shots and eliminate enemies one by one. After all, explains now why here so madly around is a lot of ammunition. Have you survived the storm healing ball, it goes up the ladder before Helga's image. On the right side of the area you can still fix collect one of the letters from the table, then go through the ventilation duct on the left - right into the arms of the enemy. You will receive an ordinary, then presented the intro before the bib. Welcome to Wolfenstein: The Old Blood!